The IUPUI campus must inspire and engage, supporting the highest levels of achievement. It must continue to be a hub of innovation for the region and a magnet for talent. It must be a destination campus not only for faculty, staff, and students but also for the broader community, a place where people gather to celebrate, to share ideas, and to think deeply about our world. 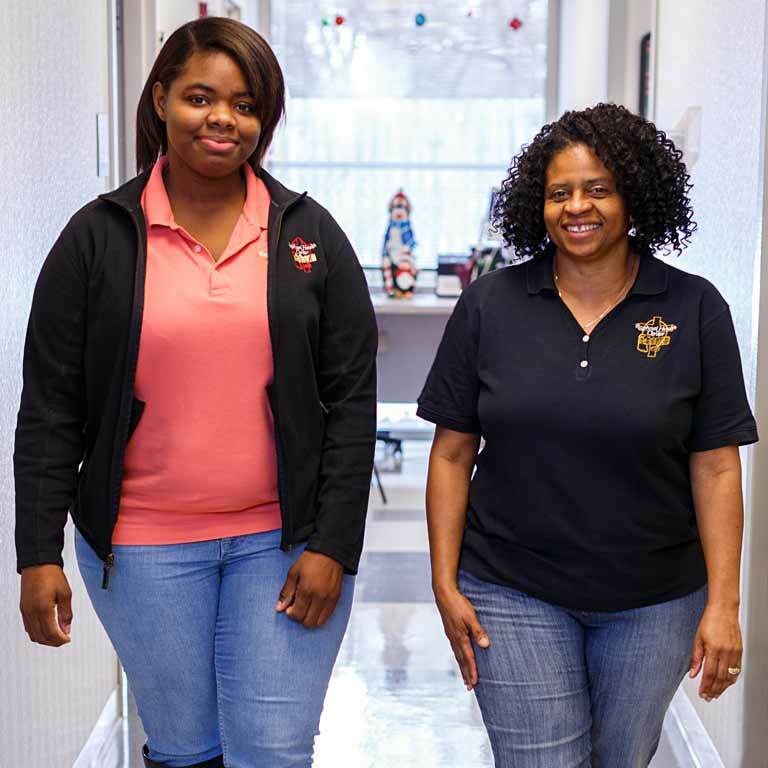 Launched in the spring of 2016, the Welcoming Campus Initiative has already started to transform our campus and its connection to our community. Taking into consideration faculty, staff, student, alumni, and community member perspectives, the initiative reflects the spirit of our campus in its collaborative and inclusive approach. Just as our Campus Center provides a venue for Indy Jazz Fest and other community celebrations, so too does our iconic IU Natatorium bring people from across the country and around the globe. 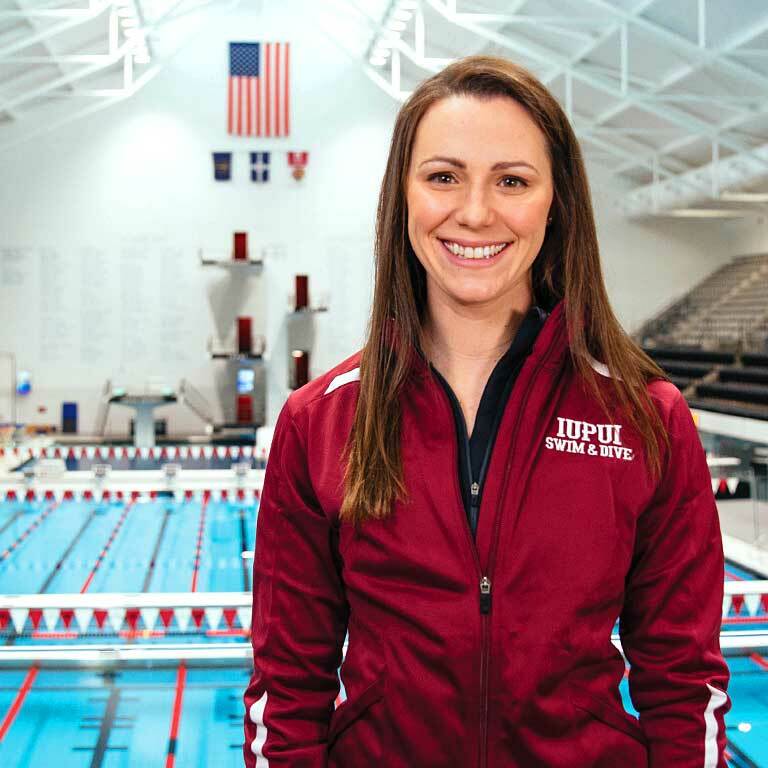 Fully renovated this year, the IU Natatorium became the first athletic facility in Indiana to achieve zero-waste goals and hosted the first Olympic event to have the zero-waste designation. IUPUI senior Maranda Buha (above) and Ryan Vaughn, J.D. ’03, have made the most of their time at the Natatorium, an unmatched aquatics venue. The Natatorium is the Yankee Stadium of swimming. This is where Olympians become Olympians. Increasing numbers of international students and award-winning programs at IUPUI continue to reinforce the university’s global connections. 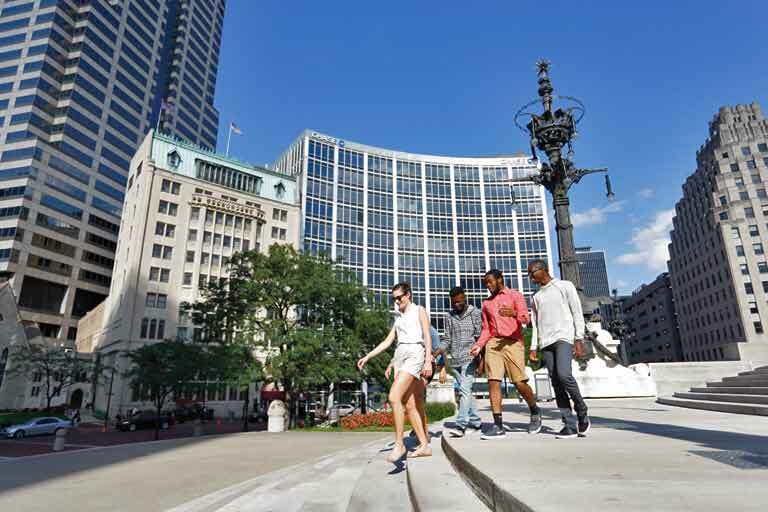 In 2016, more than 2,000 international students attended classes in Indianapolis, and nearly 500 students studied abroad, bringing new perspectives and outlooks to today’s challenges. Hundreds of IUPUI students are studying modern languages and cultures, and still more are focused on international business, economics, and global health care and policy. IUPUI recently celebrated the 25th anniversary of International House, an on-campus home for international students. This exchange of ideas and cultures also enriches our research enterprise. Home to the Confucius Institute, IUPUI partners with universities around the world, including Sun Yat-Sen University and Moi University. Our Center for Global Health—home to the Nobel Peace Prize–nominated AMPATH program—partners with universities and organizations in Kenya, Honduras, Mexico, Botswana, China, the Dominican Republic, Thailand, Liberia, Jamaica, and other underserved areas to advance global health research and education. WeCare Indiana, an initiative designed to fight infant mortality, grew out of the rich global reasearch being conducted on the IUPUI campus.